Move over Flyknit and Vapormax, because Nike’s React Element is clearly at the forefront of the sneaker game in recent months. 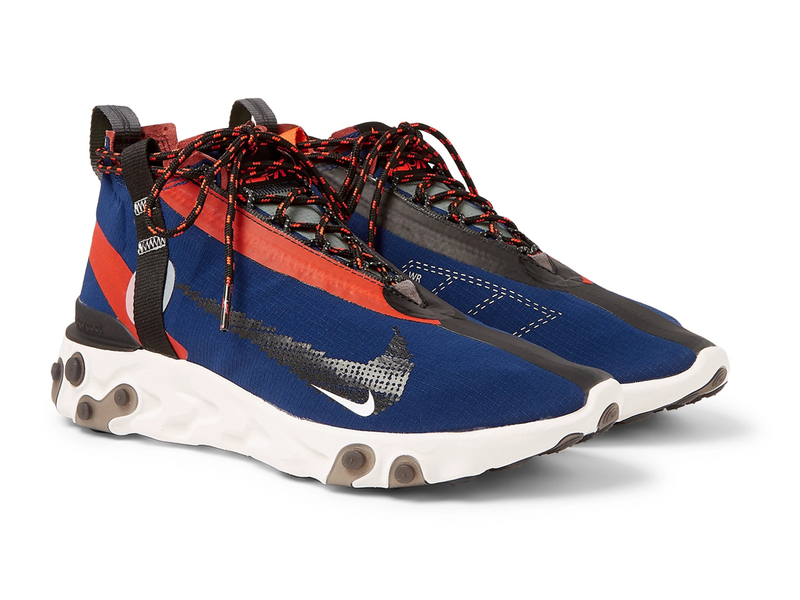 From the game-changing translucent uppers of the React Element 87 to headlining collaborations with Undercover’s Jun Takashi, there seems to be no stopping its running streak. Here to power it on further to greater heights is an all new mid-cut silhouette by ISPA, a special projects team run by Nike to Improvise, Scavenge, Protect & Adapt footwear for the built environment. The shoe’s waterproof upper is decorated with several details including the double swoosh Nike logo at the sides, interconnected trail laces, and features a mix of technical fabrics all in one. The sole? Well, that’s the popular React Element midsole that not only looks good, but is also comfy and springy with every step. The React Mid WR ISPA (SGD289) will be available in 3 colour ways, namely Black, Blue and White, and launches in-store and online at Dover Street Market Singapore today. In other words, go now before they are all sold out!